Trial Song - "Integral Birth (2x Bass Pedal)"
The Rock Band Network community has approved this song for sale. Add to your Rock Band music library by purchasing the song game track: Integral Birth (2x Bass Pedal)--Cynic . 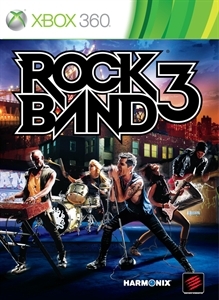 Rock Band game disc is required to play the song game track. For music credits, visit www.RockBand.com. There are no refunds for this item. For more information, see www.xbox.com/live/accounts.